Wally’s Answer: If you’ve bought a computer recently, chances are that the computer came with a 64bit processor. If you have a choice of whether to install a 32 or 64 bit operating system than definitely go for the 64bit version. The 64bit version of Windows offers many advantages such as the ability to add a lot of RAM. 64bit Windows also requires the use of digitally signed drivers which only allows the use of authentic device drivers, and minimizes system crashes as a result. Also, 32 bit applications run fine on a computer with a 64 bit processor. There are many ways to easily tell whether a computer’s processor is 32 or 64 bit. If Windows is not installed in the computer don’t worry. If you bought the computer recently, chances are that it came with a 64bit processor. All Intel core processors Corei3, Corei5, Corei7 etc have a 64bit processor. 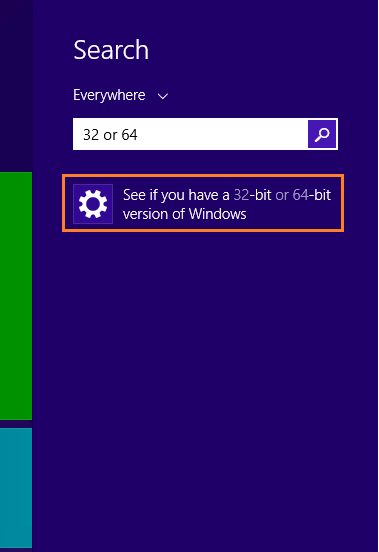 In this screen you should be able to see if your Windows 7 installation is 32 or 64 bit. Here x64 means 64-bit processor, and x86 means 32bit processor. Select See if you have a 32-bit or 64-bit version of Windows. 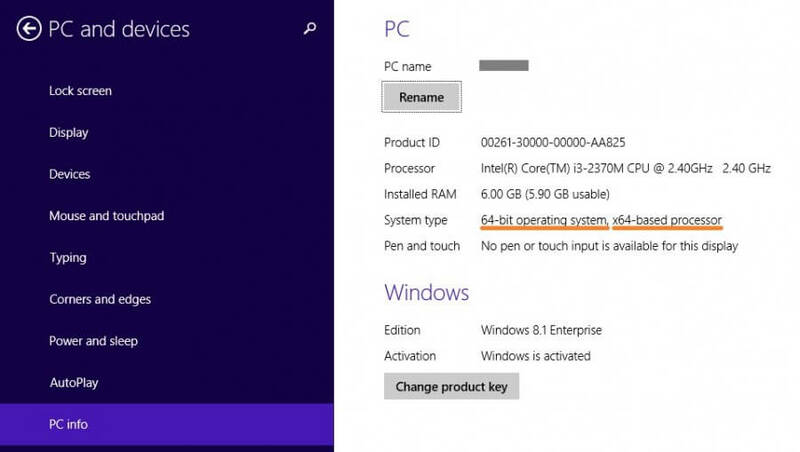 In the Pc Info menu you should see the version of your Windows 8 installation as well as the version of your computer’s operating system. x64 means 64-bit processor, and x86 means 32bit processor. In the command line window, type the command set pro > press Enter. 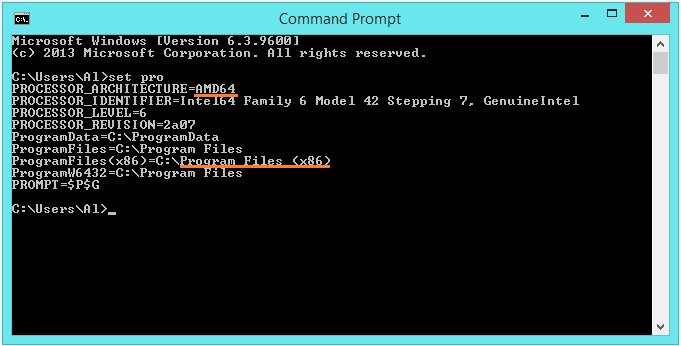 Here you should be able to immediately see that the Processor Architecture is 64 bit and that the Program Files (x86) folder is also present on the computer. In 64-bit Windows operating systems, the Program Files (x86) folder contains 32-bit software whereas 64-bit software is installed in the normal Program Files folder.